Sorry for dragging my review of the X-T1 in the long. The reasons herefore are multiple. 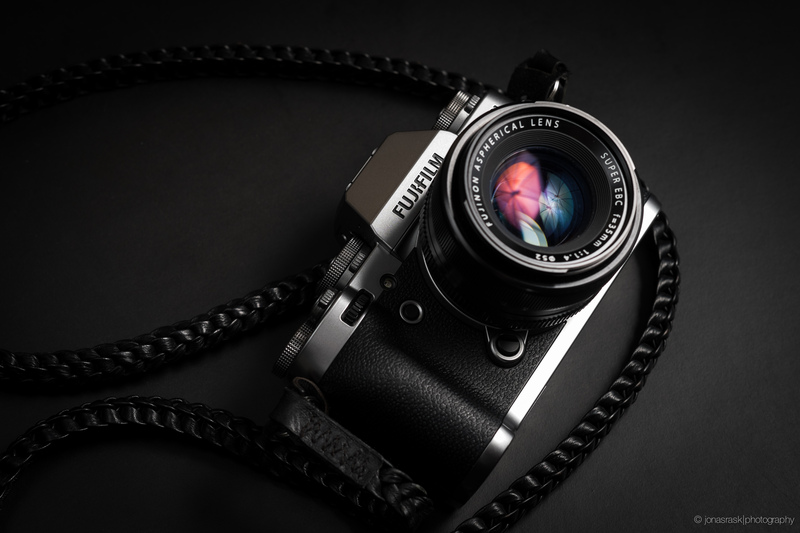 When Fujifilm annouched the Graphite Silver version of this magnificent camera, I was smitten! The thing just looked amazing. As a sucker for pretty thing I decided to put my “old” black X-T1 up for sale, so as to acquire this new shiny version. Other than that life has kept me busy in general. 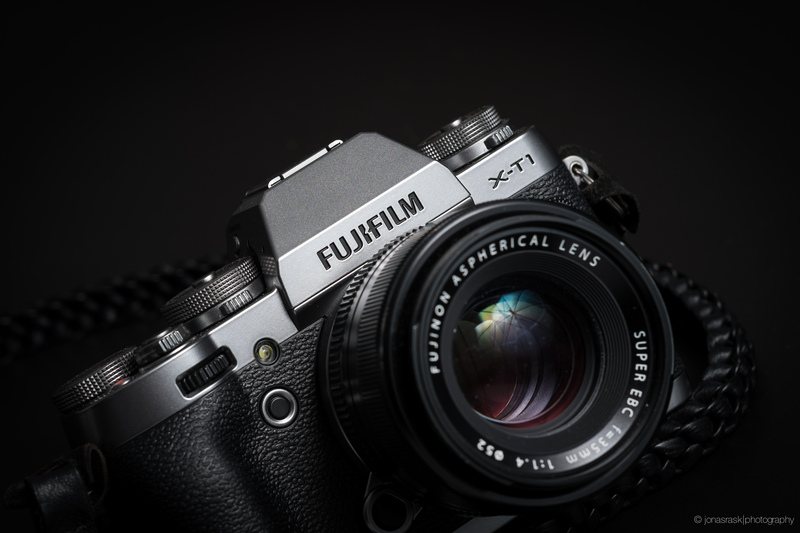 Oh, and did I mention that Fujifilm made me an official X-photographer? So, busy busy busy. So this part of the review is basically just my saying some stuff about the design of an object. Apart from a firmware upgrade this thing is exactly the same as the black version. Innards, same. EVF, same, Amazing controls, same. Fujifilm wasn’t messin’ around when they decided on a paint-job. Apparently this paint job is made up of multiple very thin layers of slightly different silver color paint. The result is something that looks and feels like Titanium alloy! I heard some initial impression stating that this made it look plasticy. All I can say to that is “not really”. This coating is something else. I have not handled a camera product that feels this refined apart from a Leica. It’s definitely on par with the masters of camera design and build. All I can say, is you need to try one of these at your camera store. Take it outside, see it reflect the daylight. It’s amazing! So what is all this thing about the firmware. Well. It has an updated firmware that gives it (in my opinion) 3 cool updates. 1. The Electronic shutter. This thing is very cool. It means that I can now use my fast primes wide open under pretty much any condition and never have to worry about using an ND filter. This is so great. It’s also (of course) completely silent, since there is no manual moving parts action involved in a sensor readout! Pretty handy for stealthy situations. It does have a rolling shutter effect. This is a limitation of an electronic shutter since the readout “rolls” from one side of the sensor to the other, rendering fast moving subjects such as cars, as distorted sometimes. For general photography usage this should be no problem. But I’ll have to get back to you on that in a couple of months. 2. Natural Live View EVF gives you the opportunity to check the shadow detail in the image in the EVF before taking the shot. This can be pretty convenient in high dynamic range situations such as landscapes where you meter the sky, rendering the foreground dark. The Natural Live View mode compensates this, and makes using the already formidable EVF even better and more like an OVF. All in all using the GS is the same as using the black version (obviously) and come mid-december the entire X-T1 line will have the firmware functions introduced in the GS. But the feel of this camera is just freakishly amazing. The design and finish is beyond describable in words. You really need to hold one of these. Some shots below of this amazing piece of tech. What does it mean to be an official fuji x photographer? Thank you for reading. Official Fujifilm X photographers are ambassadors for the brand, the same as Nikon has their ambassadors, and Canon has their explorers. i was going to get a xt1 black but your post initiated a confusion in my mind 😛 :3 . how much is the price difference ? do you think it’s worth the wait and money as the firmware update is gonna be available on xt1 black also ??? Hi Nafis. I think the differens is about $300. Maybe more. Thanks for the insight. What strap do you have attached? Thanks for the GS review! It’s gorgeous! And the strap is beauthiful! What make are you using? Hi Maria. Your very welcome. Thank you for stopping by the blog. Thanks for your review. I just got my X-T1 black and the upgrade would be too costly – in my mind, but I will go for the X100T in crome/black 🙂 What camera/objective did you use for the images herein. Really nice work! Thanks for this great review. Do you “feel” any difference of the D-pad buttons on the back compared to the black version? I somewhere read that the buttons of the GS don’t feel as mushy as the ones of the black version. 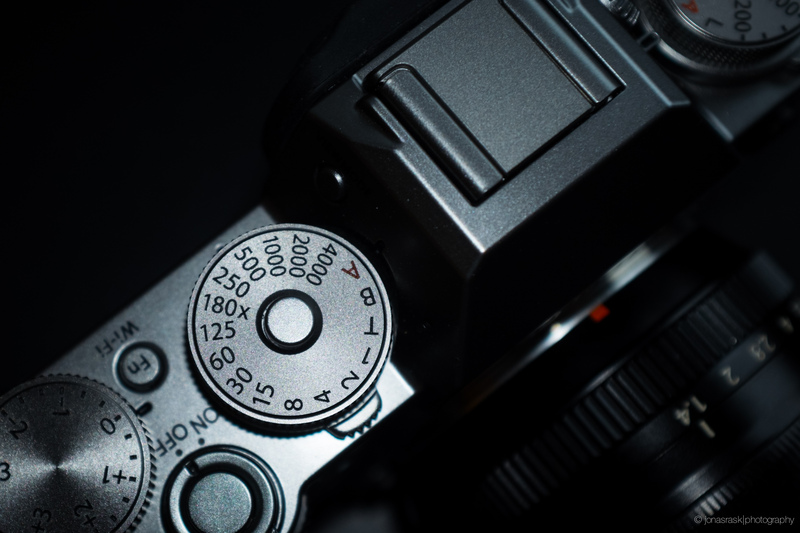 As you had both, the black X-T1 and the GS, do you think the buttons are different (more direct or clicky)? Oh yeah, they feel very different. There’s no “mushiness”. I had a model of the black X-T1 where the buttons had already been fixed. But the Graphite’s buttons are even better still. beautiful images, its so natural.. furthermore its have film simulation feature..
Forskellen mellem sølv/sort version er efter den firmware opdatering som kommer d. 18/12 kun til stede på udseendet. Jeg foretrækker klart den nye sølv. Finishen er bare tip top. Men om man vil betale de ekstra mønter for en sølv finish er jo ret subjektivt. Efter 18. dec er kameraerne teknisk set ens. It looks really nice. 😉 I have the black version but still want to add the Graphite Silver Edition to my bag… but can’t really justified it since I already have a X-E1 as backup. I’m probably still going to buy it lol. I love the reflexion of the umbrella in the first picture. Are these strobes with gels? I really enjoyed your reviews of the Xt1 and love your street photography. I am currently using a Nikon D80 (old!) with three lenses Tamron 17-50mm 2.8, Nikkor 50mm 1.8 and a Nikkor18-200 3.5 vr. I want to concentrate on street photography and am very interested in the xt1. Changing to a new system is a little scary and (especially in this case) – expensive. Can you please help me with a few questions? 1. Can I use an adapter with my Nikkor lenses on a Xt1? 2. What lens do you suggest I buy with the xt1 for street photography? That is assuming that for my other needs I’ll continue using the d-80 . 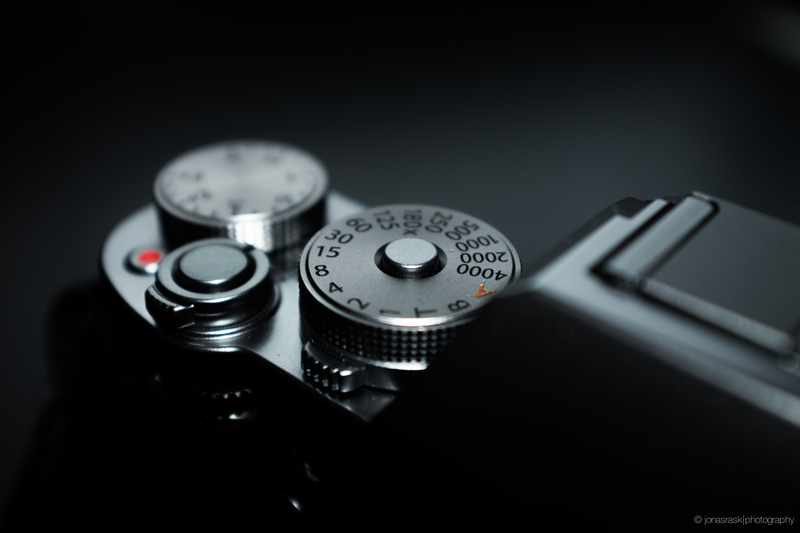 Hi – what is actually the functional difference between the silver and black versions of the X-T1, other than the skin color? Hello Jonas. Thank’s for a great amount of much too good pictures…! 1) Where to find the button on X-T1 to switch of/on the monitor (instead of closing the camera for powersaving)? 2) Our old Minolta analog camera has a lense called: Minolta MD Rokkor 45 mm 1:2. Is that worth an adapter to use on the X-T1? Hi Jonas! Good site, appreciate your work. One item caught me – the issue to have fast (>100 km/h) moving cars captured. I did som shooting (XT1) at an even with a Canon Fd 70 – 210 and the Electronic shutter on – and was back to the early car racing pictures in 1910… Short distance, long zoom did it even wore. You write you’ll come back regarging this — any news? Or we just have to adjust to mechanical shutter (which by the way goes in what direction?). Hi Jörgen! Yeah thats unfortunately the way electronic shutters work. They do a readout from top of the sensor to the bottom of the sensor. In the milliseconds that this takes, the fast moving subjects will move. 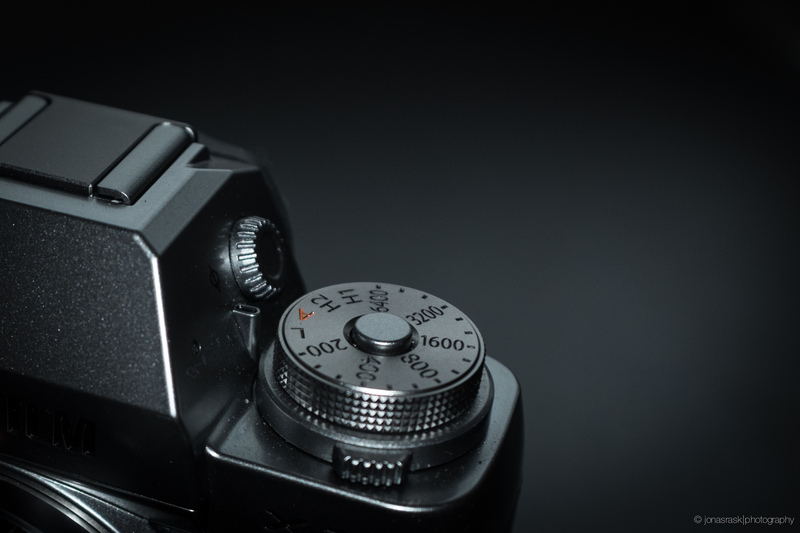 The slower the shutter speed of your electronic shutter, the worse it gets. So if you need to use the electronic shutter you should use it as close to 1/32000s as possible. For moving subjects I always just stick to the mechanical shutter. Three days ago i was almost sure i was gonna get a X-Pro1 (With 35 & 27 mm, kit sold in France for 850€ ) Now i have to explain to my wife with i won’t and what i’m gonna do ! I really want to shoot with old lenses and i feel like the X-T1 is the right body to use. By the way, great blog 🙂 I do really like how you lead your reviews , totally different from other websites. More feelings, less figures 🙂 Keep going on it’s a pleasure to read. Amazing! Thank you very much for all of your great reviews! I’m getting really close to purchasing this camera and was wondering what are some good lens options?